With the advancement of hearing technology, invisible hearing aids are becoming increasingly popular. Although not yet at the technical capabilities of larger devices, these tiny devices are effective in helping users overcome mild to moderate hearing loss. 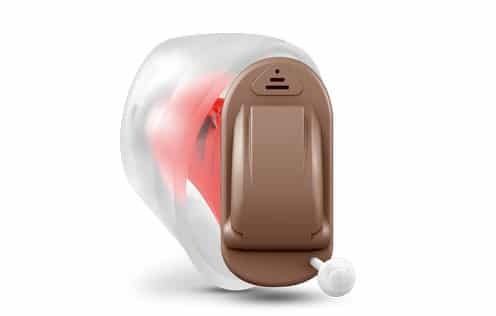 In this article, we discuss a number of hearing devices that are available from the premium brands. We will introduce you to the Lyric from Phonak which is designed to stay in the ear for up to three months without removal. 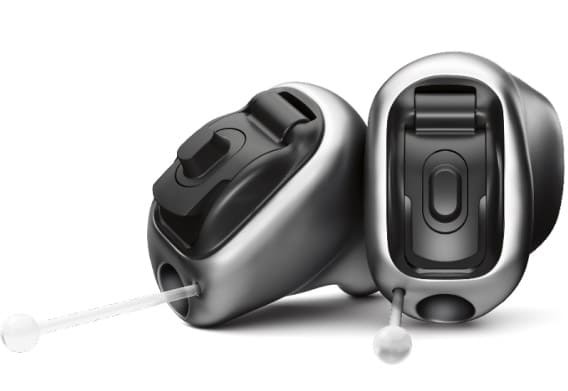 The Titanium by Phonak is another tiny hearing aid with lots of technology packed in a tiny size. 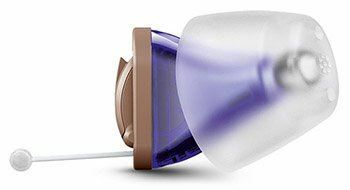 Starkey offers a great option in their Synergy Soundlens IQ hearing aid. And Siemens has the newly released Silk Primax which is a wireless option. Read on to learn more about these cutting-edge options in the fast-evolving world of hearing technology. The smallest kind of in the ear hearing aids are called Invisible In the Canal style, IIC for short. The idea is that these tiny hearing aids, whether they are custom made to fit your ears or not, fit so deep in your ear canal that you cannot see them from the outside. Typically people who are concerned about the cosmetic appearance and visibility of hearing aids may opt for an IIC style. 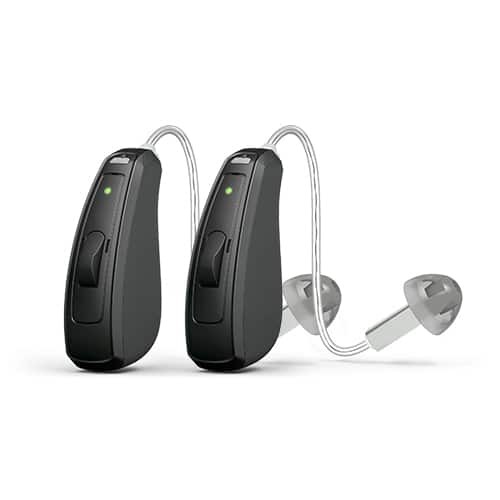 For most people these hearing aids are exactly what the name suggests, invisible. For others they may protrude a little bit more than what you had hoped. The reason for this is that the shape and size of your ear canal will play a big role in how tiny these aids can be produced or fitted in your ear. So if you have a very narrow, small, and bendy ear canal, then the likelihood of them appearing completely invisible is lower. But on the flipside, if you have a straight, large, and open ear canal, these IIC styles will appear invisible. 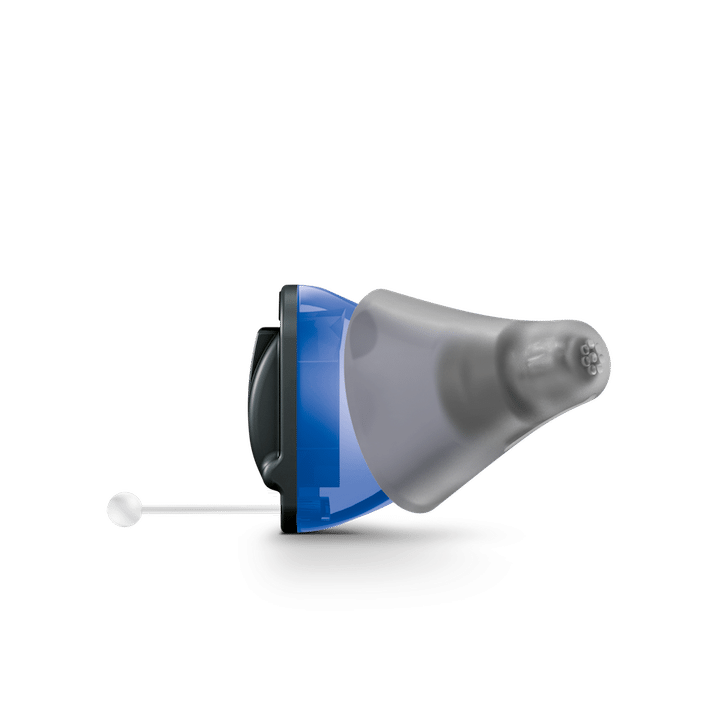 With the custom made IIC aids, the only time you’ll know for sure if it will be a truly invisible aid is when the impression has been made of your ear, sent to the manufacturer for production and fitted in your ear. For the non-custom IIC aids, you can often demo them right away with your hearing professional and see whether different “sleeves” or body sizes give you the ideal invisible fit. In regards to the strength and power of the IIC and how well it will cover your hearing loss, most of them will fit anything from a mild to a severe loss. Your hearing professional will check your audiogram and determine if you’re a good candidate. Sometimes however, a severe to profound loss may not be a good fit for the IIC. This may depend on how steeply your hearing loss slopes on the audiogram and the size of your ear canal. The reason for this is that the IIC has a limited capacity to output volume at very loud levels, despite adjustments to the aid and the sound settings. Pushing the IIC to its limits will likely cause you to hear a loud squealing sound, which is referred to as “feedback”. Sometimes the feedback can be resolved through adjustments to your settings and to the ventilation hole on your aid (if the aid has one). But sometimes neither of these solutions can be applied for technical reasons. In this case you may instead be better suited to try a Completely in the Canal style aid (CIC). They are slightly larger but have an increased capacity for volume output. 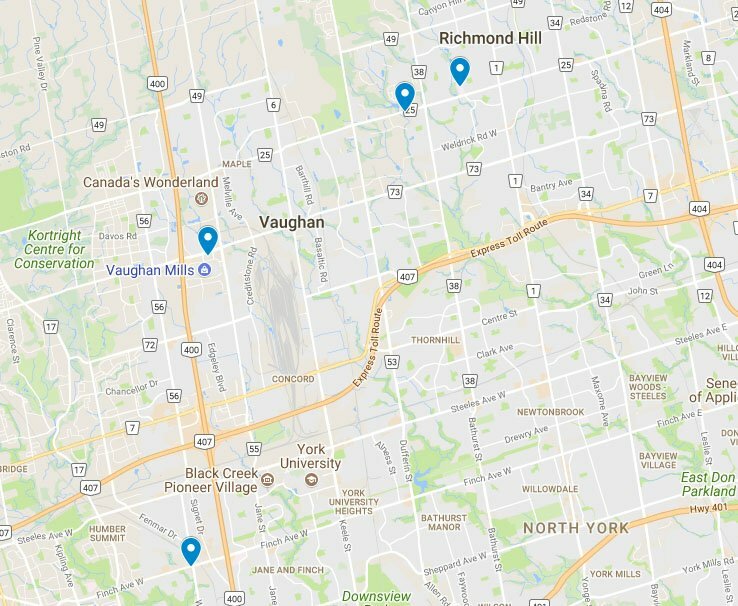 Some of the IIC aids can be controlled via a remote control or an app on your phone. 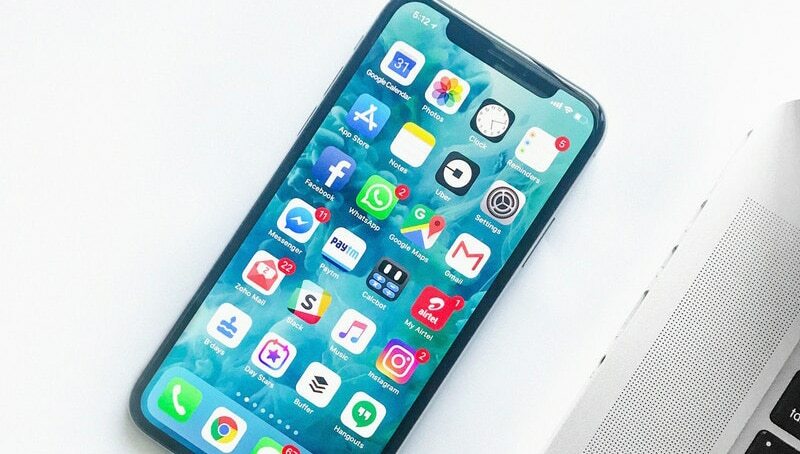 Some of them may even have the option of adding a push button to the faceplate (the part faces the outside of your ear canal), but in doing so it may increase the size and visibility of the aid. You should talk to your hearing professional about your needs for volume control. Most higher end hearing aids are so intelligent and automatic that they adapt to your environments and will regulate the sound and volume for you, so there’s no need to change it manually. This function may be brand dependent. Some IIC aids are so tiny that the components for volume control cannot be included in the aid at all. Your hearing professional can go over which kinds will have this feature. Most of the custom made IIC aids may initially cause you to experience an increased perception of your own voice. 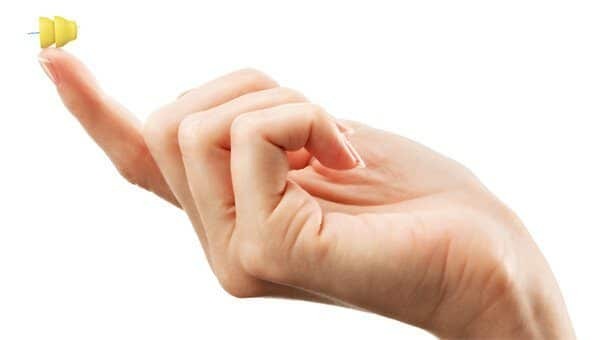 This sensation is referred to as “occlusion”. Occlusion typically occurs when a custom aid completely fills up your ear canal. Depending on the degree and severity of your hearing loss you may hear more or less of your own voice initially. Occlusion is typically more noticeable in the first few days of you using the hearing aids as your brain is adapting to hearing sounds you haven’t heard in a long time, or even ever! As time goes on and the more consistently you use your hearing aids, your brain will quickly adapt and recognize the sound of your own voice and so the perception of occlusion won’t be so noticable. If, after two weeks you still have not managed to adapt to the sound of your own voice, it’s a good idea to visit your hearing professional so they can make further adjustments to the aids. 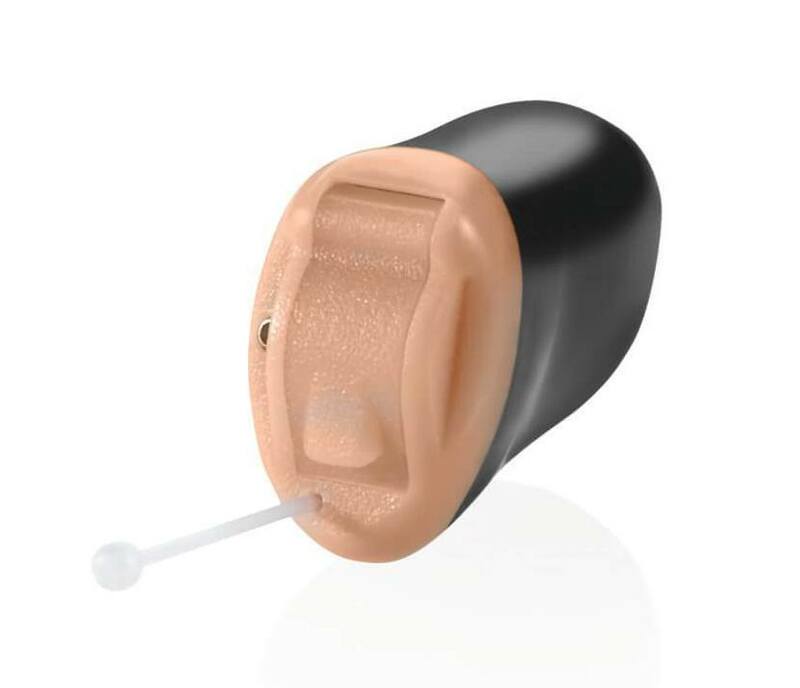 As a general rule of thumb, any aid or earpiece that completely plugs up your ear canal, like the IIC will have a larger likelihood of causing occlusion, compared to the “open fit” behind the ear styles of aids. “Open fit” hearing aids refer to the fact that the tip that goes into your ear canal and delivers the sounds to your eardrum causes minimum amount of occlusion. It essentially allows for your own voice to “pass through” and not be amplified, giving you a more natural feel. Also, the larger the ventilation hole or sleeve attached to your aid, the less occlusion you’ll experience. Sometimes however, despite the absolute best efforts of the hearing professionals to reduce the feeling of occlusion, it may still appear noticeable to the wearer. In these cases when all options have been exhausted the user has no choice but to compromise the cosmetic beauty of an IIC to the fact that they may always hear a bit of occlusion. If you cannot handle the occlusion, then your hearing professional will offer other non-occluding options instead, such as the open fit behind the ear style hearing aid. Most hearing aid manufacturers create custom style IIC aids. However, the Lyric aid by Phonak is a completely unique style of IIC in its own class because it goes deeper and appears more invisible than any other IIC aid. 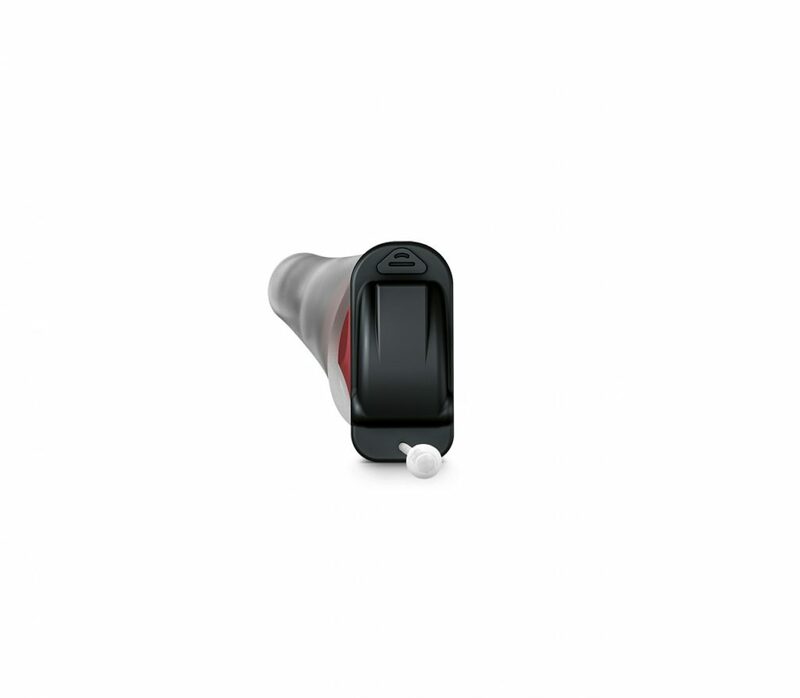 The Lyric sits about 3-4 mm away from your eardrum and functions like a disposable hearing aid. A specifically trained hearing professional is the only one who can insert this type of aid in to your ear. Under no circumstances should you attempt to insert a Lyric hearing aid into your own ear – only your hearing professional is trained to do so. Keep in mind that not all clinicians have experience nor training in Lyric insertion, and not all clinics are approved to offer this device. So you need to make sure that your clinic carries this device and that they have certified Lyric trained clinicians performing this fitting. The Lyric typically lasts anywhere from a few weeks to a few months. The lifespan of the Lyric depends typically on the “climate” of your ear canal. Those with dry and wax free ear canals tend to enjoy longer Lyric lifespans compared to those with a lot of earwax buildup or moisture in their ear canals. Once placed, it’s hassle-free so you may even forget you’re wearing a hearing device. And that’s the point. Hearing loss shouldn’t hold you back, and neither should your hearing solution. Welcome to Lyric, a different way to hear better. Lyric’s inventors had an original mission to create the best possible hearing solution. They knew that amazing sound quality was important and that the closer a device could get to the eardrum, the more natural the sound quality would be. But to achieve incredible sound quality and comfort, Lyric’s team of ENTs and engineers had to break past the existing limits of acoustics, processing and power supply. 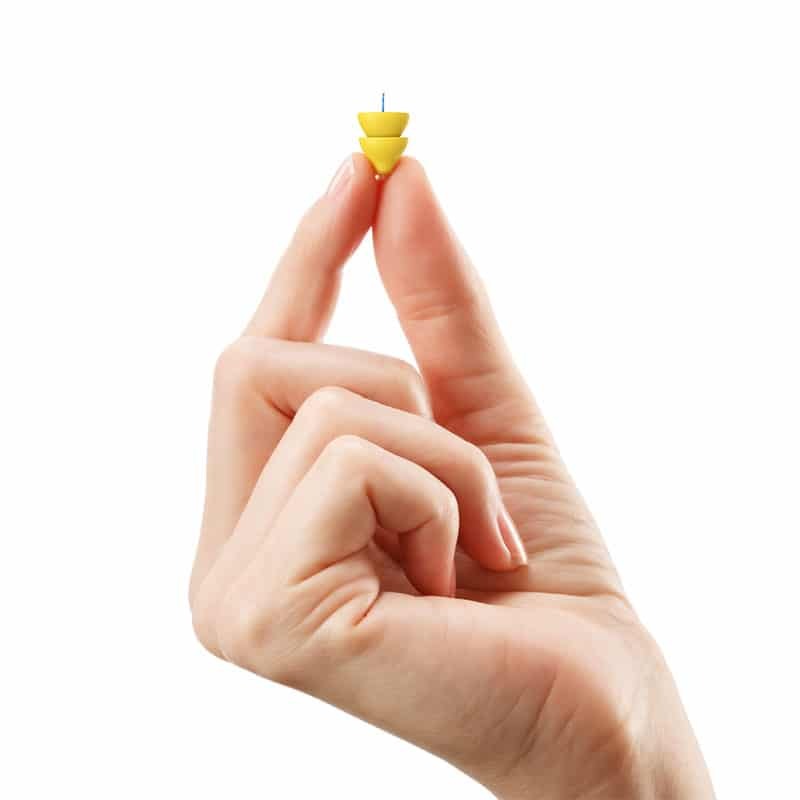 Virto B-Titanium is the smallest Phonak in-the-ear hearing aid ever! It’s so discreet that nobody will “see” how well you hear. SoundLens Synergy hearing aids are custom fit to your exact needs and unique ear canal shape. They rest comfortably deep in your ear, so only you know they’re there. And though tiny, SoundLens Synergy come loaded with the leading technology. 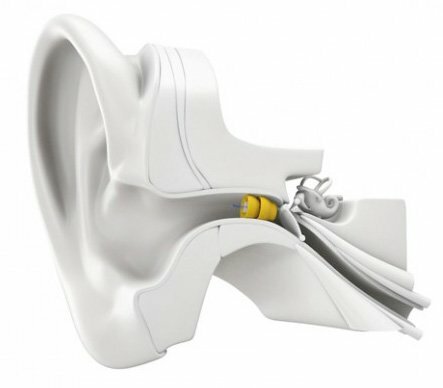 They’re the first and most popular custom-fit Invisible-in-the-Canal (IIC) hearing aids ever made. New features speed your transition to hearing aids by gradually adjusting settings to allow your brain to get used to new sounds.